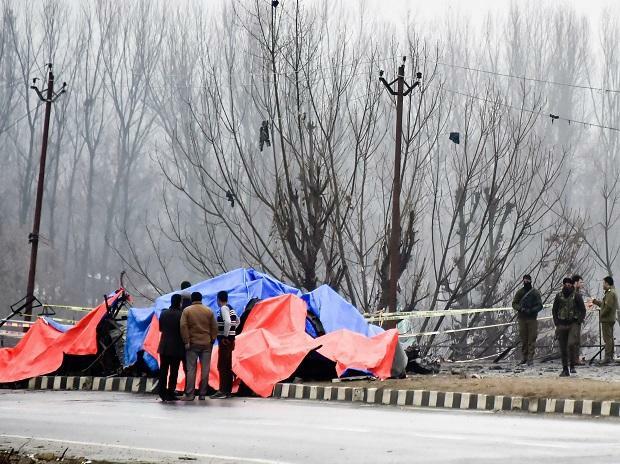 Chinese State Councilor and Foreign Minister Wang Yi has condemned the suicide attack in Kashmir in which at least 40 CRPF personnel were killed, saying Beijing "resolutely opposes" all forms of terrorism and countries in the region should enhance cooperation and jointly address the threat of posed by it. In a condolence message to External Affairs Minister Sushma Swaraj on Friday, Wang said he was "shocked to learn that a suicide attack was carried out in Kashmir and heavy casualties were caused". While extending condolences, he said "terrorism is the common enemy of mankind. The Chinese side resolutely opposes and strongly condemns all forms of terrorism". Expressing sympathy to the families of the victims, he said "countries in the region should enhance cooperation, jointly address the threat of terrorism and maintain regional peace and security". UN-proscribed Pakistan-based terror group JeM has claimed responsibility for the terror attack. India has been demanding that the group's chief Masood Azhar be designated as a global terrorist. If Azhar is listed as terrorist by the UN Security Council (UNSC), he would face a global travel ban and assets freeze. Wang's message came on the same day Chinese Foreign Ministry Spokesman Geng Shuang expressed deep "shock" over the Pulwama terror attack carried out by a Jaish suicide bomber but did not give an assurance to India that it will back New Delhi's appeal to list Azhar as a global terrorist. "China has noted the reports of suicide terrorist attack. We are deeply shocked by this attack. We express deep condolences and sympathy to the injured and bereaved families," Shuang told reporters here when asked about the incident. China, a veto-wielding member of the UNSC and a close ally of Pakistan, has consistently blocked moves first by India and later by the US, the UK and France to designate Azhar as a global terrorist. It also strongly reiterated its appeal to all members of the international community to support the proposal to list terrorists, including JeM chief Azhar, as a designated terrorist under the 1267 Sanctions Committee of the UN Security Council, and to ban terrorist organisations operating from territories controlled by Pakistan.